Just a quick post on the fly before I head out to market today. 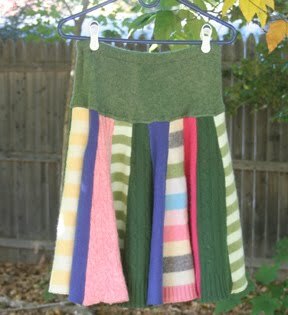 I've made many skirts in fall colors and black and white lately, so it was really fun to work in brights and pastels. We are deep into fall now. On my walks the main nature sounds are from chipmunks, titmice and nuthatches...and falling leaves and acorns! I still have a few tomatoes in the garden, but they'll be gone soon, I'm sure. Enjoy the beauty, wherever you are! This is quite a cheery one. Love the colors. Nice to see what you have been up to.